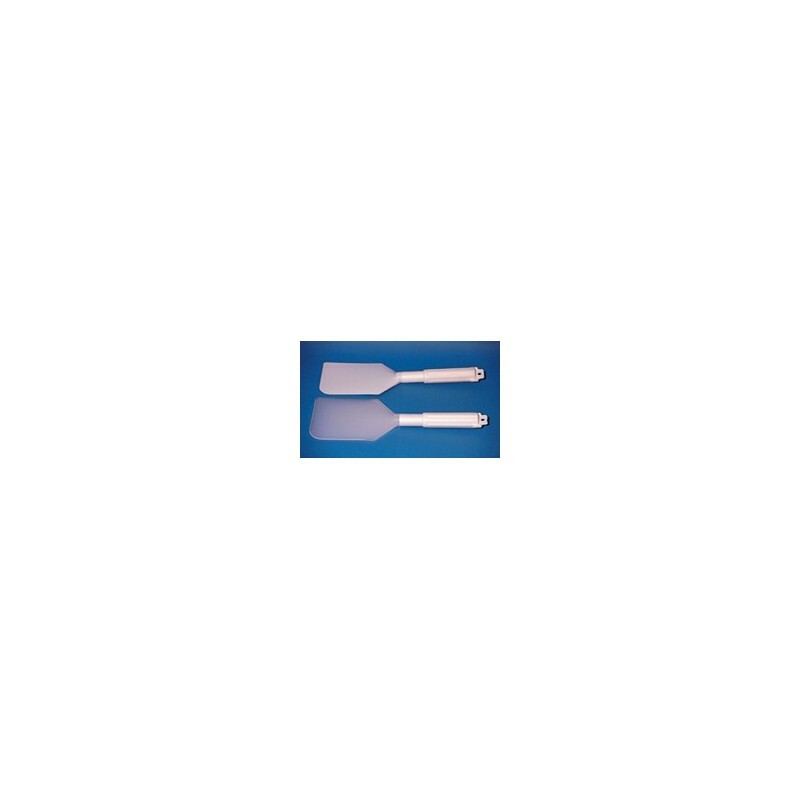 The SOFT BLADE SPATULA SCRAPER is light, easy to use and sanitary. Will not scratch, leave black marks, splinter or harm equipment in any manner. The blade measures 7"L x 4-1/2" W and is curved on 1 edge allowing unmatched, clean spatula action. Blade will sharpen and contour to your specific application with usage. Smooth finished, waterproof construction is easy to clean with a simple rinse while remaining odor free after repeated use. Short, easy-grip, ribbed plastic handle. Total length: 13-1/2". 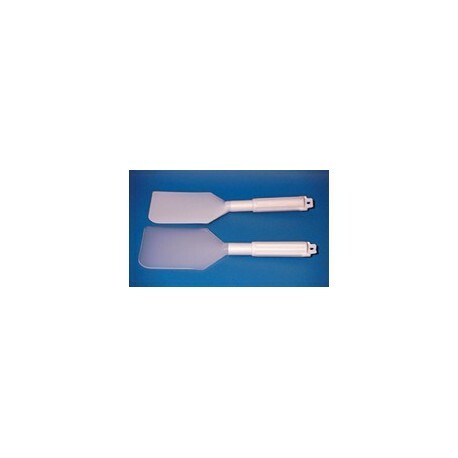 Low density Polyethylene Spatula/Scraper exhibits exceptional flexibility and resistance to most chemicals and inks, including solvent and water based inks. Nylon Spatula/Scraper can withstand temperatures up to 300ºF (Polyethylene construction can withstand temperatures up to 150ºF). Sold individually or 6/case.